What’s the Time in Moscow, Tokyo, Nairobi? The Ball State University Libraries’ Digital Media Repository (DMR) provides online access to a broad range of digitized primary source materials, including artwork, architectural drawings, films and video, oral histories, photographs, publications, and cartographic resources. The GIS Research and Map Collection (GRMC) has provided more maps for a new collection available from the DMR—the World Standard Time Zone Maps Collection. 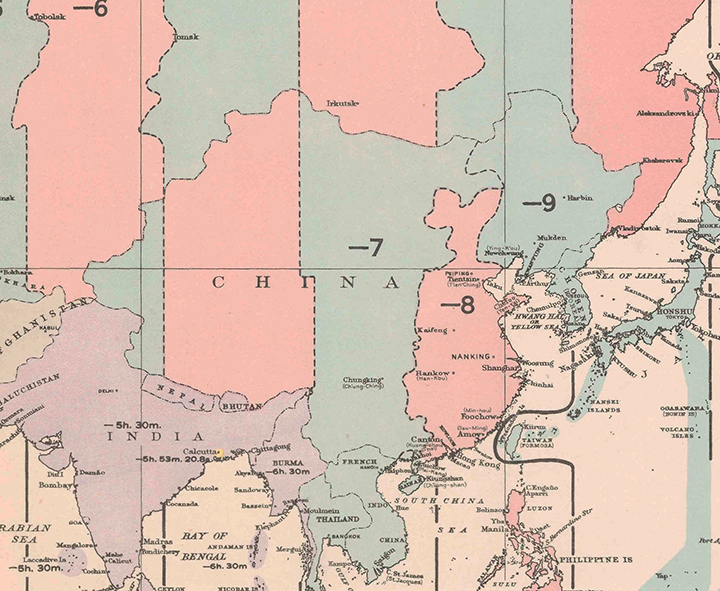 This collection provides online access to world time zone maps dating back to 1944. All nations use standard time zones based on degrees of longitude for commercial purposes, although individual countries do use half-hour and quarter-hour deviations. 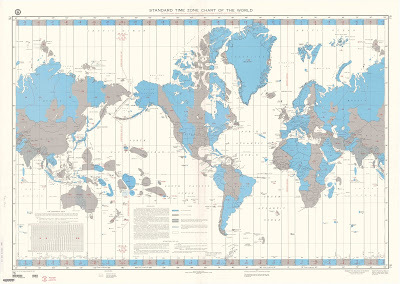 The maps depict the changes in time zones over the ages. For example, China currently uses a single time zone in spite of its large geographic size. 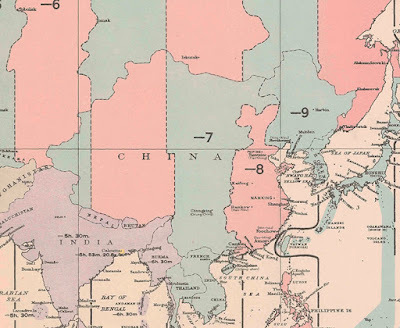 Prior to 1949, China used five time zones (above, from 1944 map). For more information about the Digital Media Repository, please contact the Archives and Special Collections at 765-285-5078. For more information about these or other historic maps, please contact the GRMC at 765-285-1097.